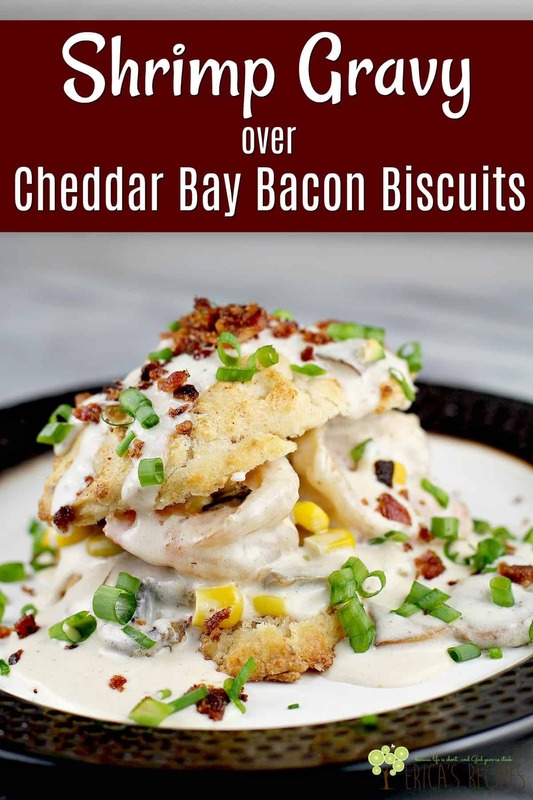 This epic recipe for Shrimp Gravy over Cheddar Bay Bacon Biscuits is as delicious as it is fun to make. 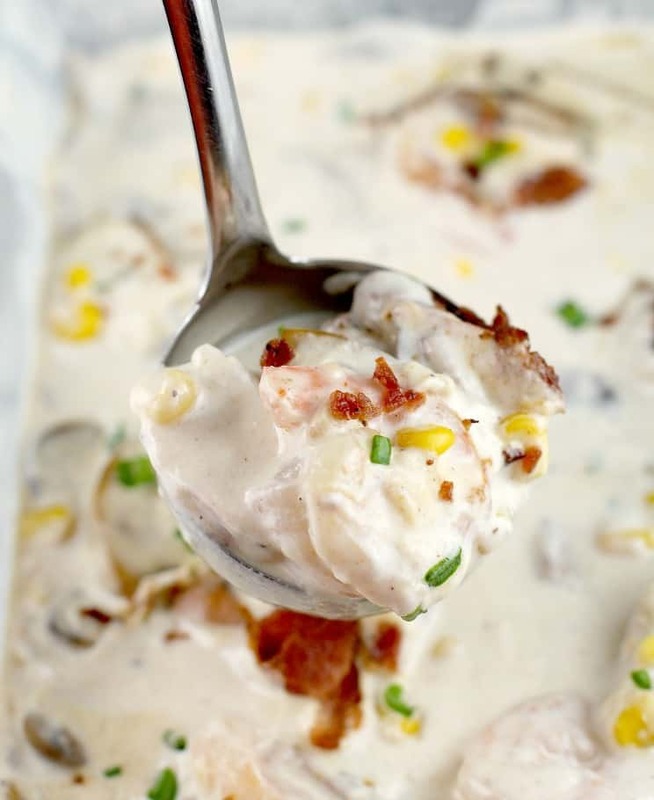 Cream gravy with shrimp, over copycat Red Lobster biscuits made even better with bacon. 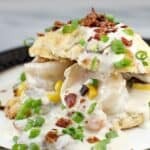 Make this biscuits and gravy recipe for a delicious, creative seafood recipe with a low-country vibe. I originally made this seafood recipe up as a challenge to myself to create a new dinner using just what I could find already stocked at home. I do this on a regular basis, to try and cut down on food waste, lean out the cans that end up forgotten on the back of the shelf, use up stuff in the freezer before it ends up tasting like the freezer. Pantry, fridge, garage freezer – anything goes, but it has to already be there. No texting the husband to stop on the way home. No running to the store myself. No running to the neighbors’ house. Nuthin. Usually, the end result is edible. Sometimes it is really good. 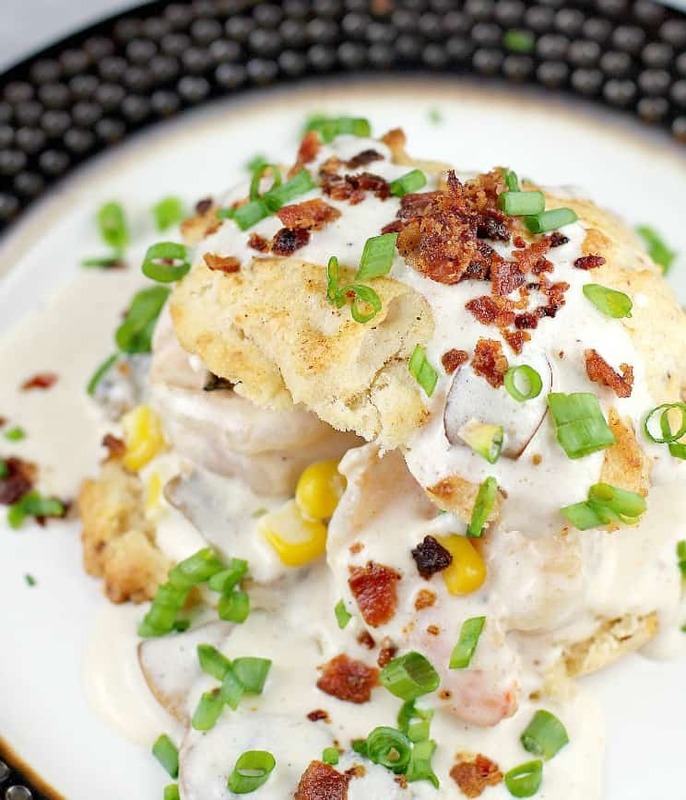 And sometimes, not often, but sometimes, (like this creative biscuits and gravy recipe!) the result is fantastic. I cannot believe this shrimp gravy even happened, let alone that it was SO good. 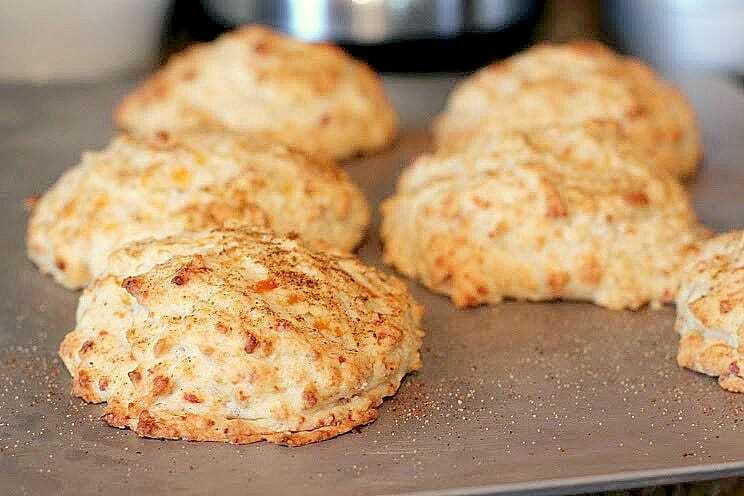 The biscuits (which are a total copycat recipe for Red Lobster cheddar bay biscuits, only I added bacon because that is how we want to roll here) are by themselves to die for as well. And so here we are, all thanks to easy ingredients. Make 8 big biscuits by dropping the dough on the sheet. Using the food processor to mix up biscuit dough is something I have been doing for a longggg time. 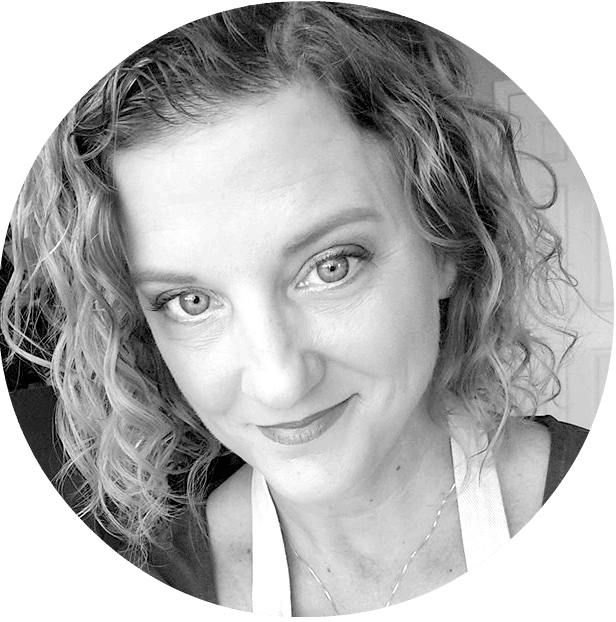 I use this trick to make pie crust dough too. We just pulse pulse pulse until it comes together, easy peasy. Another trick I used to keep this recipe a little easier (because, I do admit there is a lot going on here) is to make drop biscuits rather than biscuit-cutter-cut biscuits. Just one less thing, you know? Then while our biscuits are cooking, we make our SHRIMP GRAVY! This component is also very easy to make. Give the shrimp a very quick saute to lightly cook the exterior, but leaving the interior still raw. Make a roux with butter and flour. Add half and half to the roux, then thicken to make the gravy. Add it all together: shrimp, mushrooms, corn, and seasoning to finish our gravy. One key here is to not overcook the shrimp initially. Just a little cook on each side, then get them off the heat. This way when they finish cooking in the hot gravy at the end, they will be PERFECTLY cooked and not tough or overdone. …Now that I think about it, if we through in some potatoes, maybe a little onion, we would have ourselves a lovely shrimp chowder. Ha! Recipe idea right there, I’ll be investigating that soonest. Once the biscuits are cooked and shrimp gravy is done, we just put out delicious dinner together. Split the biscuits – using a fork works best for this – and ladle the creamy gravy over. 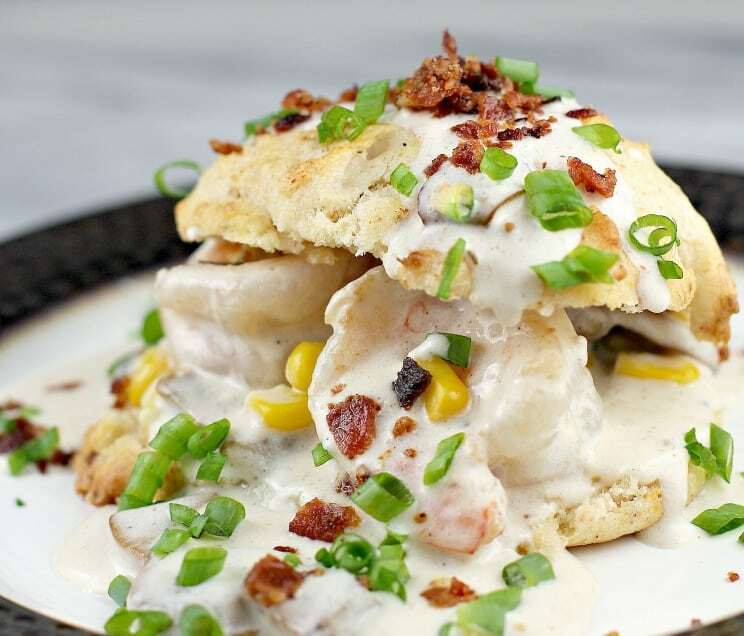 Succulent shrimp, sweet corn, salty bacon, and cheesy fluffy biscuits. This all comes together in delicious bites you will love. So that’s it kids. 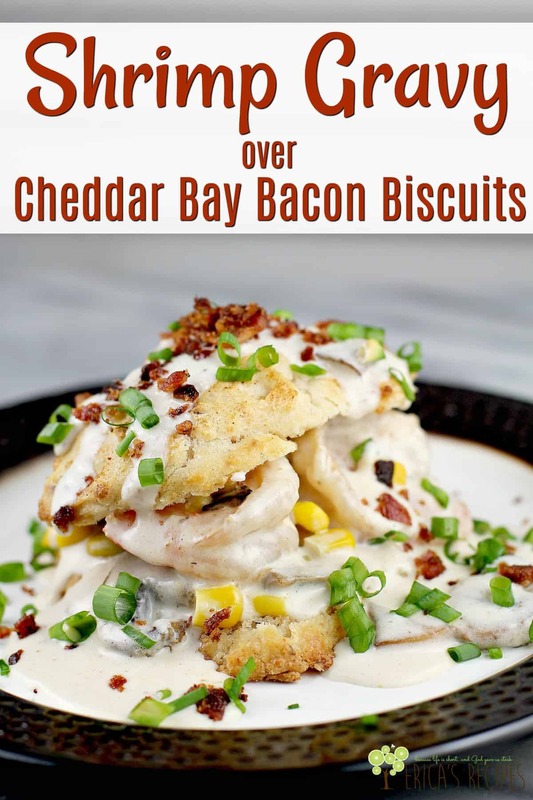 A creative, fun recipe with shrimp gravy and cheddar bay bacon biscuits. 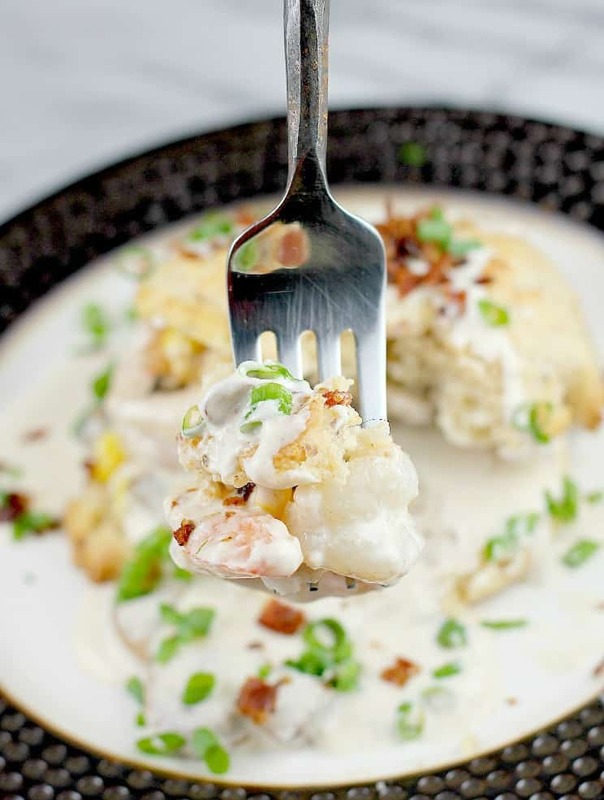 Cream gravy with shrimp, over copycat Red Lobster biscuits made even better with bacon. In a food processor (or in a large mixing bowl with a pastry cutter), pulse the flour, baking powder, salt, and butter. 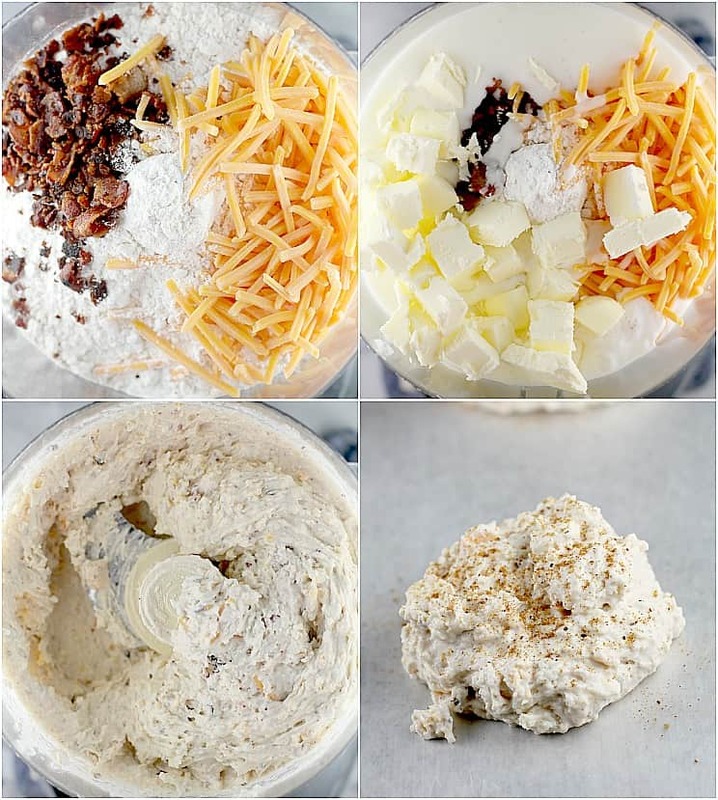 Add the cheese, bacon, and buttermilk and pulse until combined (or do this in a bowl with a fork). Spoon biscuits onto a baking sheet making 8 biscuits. Sprinkle seafood seasoning over the tops. Bake 10-15 minutes until golden brown and toasty. Remove from the oven and set aside. Toss the shrimp in 1 T olive oil. Season with a good pinch each of salt, pepper, and seafood seasoning. Set aside. Heat a large nonstick skillet on medium-high heat. Add the shrimp and cook until very lightly pink on one side, flip, and cook until very lightly pink on the other. Remove from heat and transfer the shrimp to a dish. Set aside (shrimp will still be raw in the middle). In the same skillet, heat the remaining 2 T olive oil on medium-high heat. Add the mushrooms and saute, tossing occasionally, until softened and a little brown. Remove from heat. In a large saucepan on medium-high heat, heat the butter and flour. Whisk until smooth. Cook a couple minutes, stirring regularly, to make a roux. Whisking constantly, slowly add the half-and-half. Cook, stirring constantly, on medium-high heat until mixture thickens to the consistency of gravy. 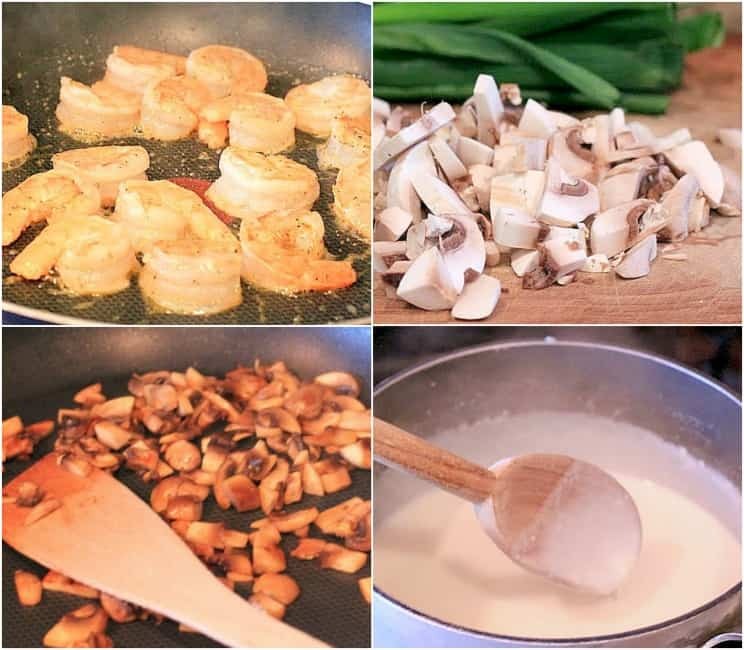 Remove from the heat, and stir in the shrimp, mushroom, and corn (the shrimp will finish cooking in the sauce). Add the seafood seasoning, salt, and pepper. To serve, gently fork split the biscuits, spoon gravy over the bottom biscuit half, and top with the top biscuit half. Spoon a little more gravy over top, and garnish with green onion and bacon crumbles. Last nightI made those delicious apple tarts, with the oats and brown sugar topping, that you posted yesterday. Great success. Thanks. Mmm . . . shrimp gravy. What a great idea – looks delicious! Mouth is watering over here! Looks delightful, and delish!